I could wax poetic about marshmallows all day long. Even longer if we’re talking a semi-toasted marshmallow that’s got a little black crunch to it but mostly consists of warm brown melting-inside toastiness. Unless you have a gas stove (mournful eyes) we have no good marshmallow toasting apparatux. Yes, we could use the broiler, but that’s another tale involving fireballs and burn hair. We shall never speak of it again. (Well, maybe later) Besides, you have to get just that right combination of flavors, and that’s hard to do without the command of a stick over the blazing battlefield. Eileen Talanian’s Marshmallows: Homemade Gourmet Treats is a great way to play around with making your own favorite marshmallow treat. Personally I like the limoncello best so far (some, but only a few, recipes use actual booze them them). I’ve used this book already and so have had many events for which to make them. They always seem to be favored by everyone. We have had trouble getting the marshmallow fluff recipe to come out right, but every single regular marshmallow recipe comes out fine. Basically you make a ‘marshmallow syrup”, do a whole lot of fluffing up in a Kitchen Aid fitted with a whisk attachment (and you add a few more ingredients), and let it go. Individual recipes will tell you when to add what. When it’s done you pour it into a pan, smooth out, and let it sit for four hours. Then you flip it onto a dusted-with-coating cutting board, and start cutting and coating. 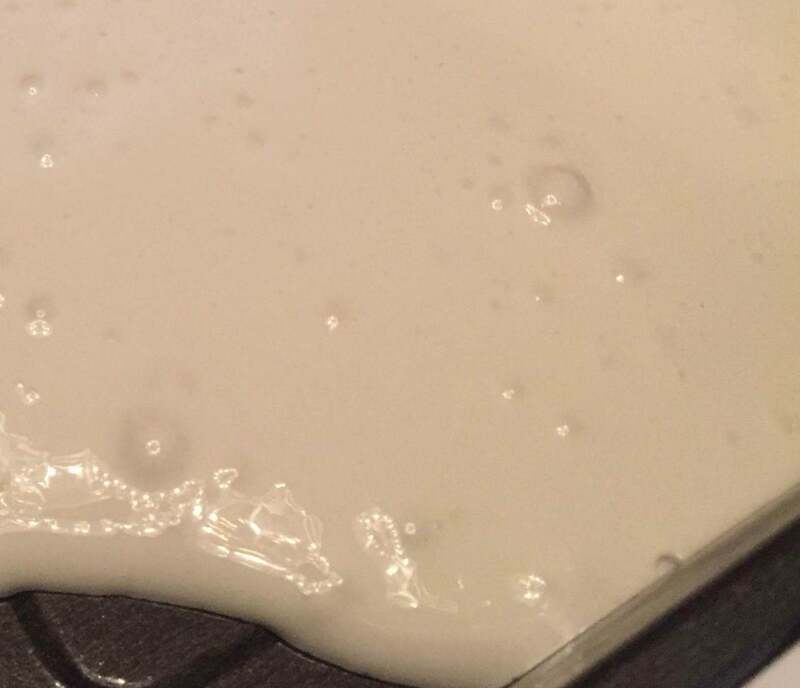 This is an example of the batter you whip up that has to ‘cure’ for four hours. After that time you can cut the whole thing up and dredge the marshmallows in a coating of your choice. I really like the vanilla marshmallows with cinnamon in the coating mix. I also gave one a shot with a hard cider and it worked pretty well. While I really enjoy the recipes as they’re presented I also recommend having a place or time when you can hand a bunch off, because holy cow these are sweet. My husband takes them to his office. Same with another friend. Because you really don’t need so much sugar!! There are so many variations to try. We could keep a marshmallow marathon going for weeks!